Whether you like him or not, Gary Bettman is here to stay as Supreme Leader Snoke… I mean, Commissioner of the NHL. The sitting commissioner has signed a contract extension ensuring his employment through 2022, as reported by the Associated Press. The 63-year-old lawyer and New York native has been both a controversial figure, and a lightning rod of praise for the league’s rapid expansion. Before chronicling Bettman’s tenure as commissioner of the NHL, it’s worth noting that if he is not terminated or otherwise vacates his position as commissioner, he would be tied with Pete Rozelle (NFL Commissioner from 1960-1989) for third-longest tenured commissioner of any big four sport and two years shy of tying the record, placing him just behind Clarence Campbell (NHL Commissioner from 1946-1977, 31 years), and David Stern (NBA Commissioner from 1984-2014, 30 years). Prior to finding employment in the National Hockey League, Bettman studied in Cornell University, and was further educated in New York University School of Law, obtaining his Juris Doctor in 1977. Prior to finding his current position, Bettman served in the National Basketball Association starting in 1981, focusing on the marketing and legal departments, before rising to third in command of the NBA, holding the position of Senior Vice President. Bettman was instrumental in developing a soft salary cap system within the NBA – a system that is still used today in the league. Bettman took the reins of the NHL on February 1, 1993, after a short and disastrous 1-year tenure from Gil Stein; who withdrew from the position then known as President of the NHL after allegations of tampering ballots. Bettman was appointed by the owners in the newly created Commissioner position, meaning that the position of Commissioner of the NHL has only ever been occupied by him. When the Commissioner took the helm, the NHL was a 24-team league, having just expanded by awarding franchises in San Jose, Ottawa and Tampa Bay, who began play in 1991, 1992, and 1992 respectively; though he didn’t take part in the process, the Florida Panthers and then Mighty Ducks of Anaheim also started to play early in his tenure (1993-94). Hired under a directive of selling the game in the U.S. Market, Bettman played a key role in bringing four more teams to the NHL: the Nashville Predators, the Atlanta Thrashers, the Minnesota Wild, and the Columbus Blue Jackets. This expansion was not met without controversy, as the teams in non-traditional markets have been known to struggle and continue to struggle financially to this day. In addition to the expansion to the current 30-team NHL, Bettman also saw many relocations, beginning with the Minnesota North Stars making the trek to Dallas in 1993. The Quebec Nordiques would go on to relocate to Colorado in 1995; the original Winnipeg Jets would move to Arizona in 1996; the Hartford Whalers would move to North Carolina in 1997; and the Atlanta Thrashers would move to form the current Winnipeg Jets (the only Bettman-era expansion team to move thus far). In addition to the five relocations seen under Bettman’s tenure, there were rumors that the Nashville Predators would move to Hamilton, Ontario in 2007 pending their sale to Jim Balsillie – a move that was controversially quashed by Bettman, helping fuel his so-called “anti-Canadian” agenda. Further adding fuel to the fire of controversy surrounding Bettman, he has been the only Commissioner in big four sports to lose an entire season due to a labour dispute (2004-05), as well as being involved in two other high-profile lockouts in 1994-95 and most recently in 2012-13. By the conclusion of his current contract, Bettman could be involved in another labour dispute, as the current Collective Bargaining agreement is slated to expire in 2022. While some of the criticism he has faced is well-warranted, Bettman has seen the expansion of the NHL to a multi-billion dollar enterprise, implementing the Canadian Assistance Plan in the late 90s, helping small-market Canadian teams such as Calgary, Ottawa and Vancouver, stay afloat, and championing the current revenue-sharing system that is in place today. 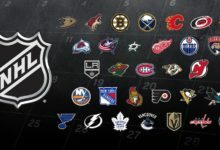 The television deals made by Bettman have been historic and record-shattering within the realm of the NHL history, currently holding a $2 billion deal with Comcast slated to expire in 2021 in the United States, and an exclusive deal with Rogers Media worth $5.2 billion (severely reducing the impact of the iconic Hockey Night in Canada broadcast). As of the time of this writing, Bettman’s tenure has also seen fresh new arenas for almost every single NHL team; with new arenas opening for Edmonton in 2016 and Detroit in 2017, and a planned new arena for Calgary, only the New York Rangers play in a pre-Bettman era arena (albeit renovated fairly recently). As much as Gary Bettman is booed and reviled by fans of the NHL, the truth of the matter is that financially, he closed the gap between the NBA and the NHL for the fourth highest-grossing sports league in the world, as well as championing grassroots-level growth for the sport, as well as international appeal. 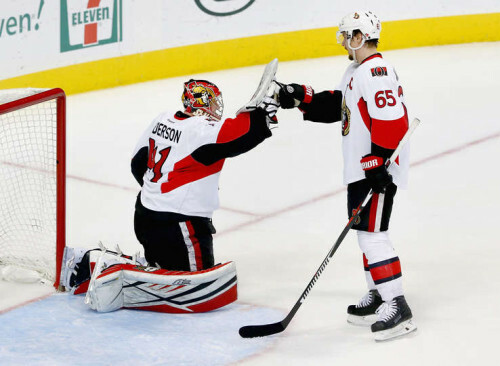 1992-93: Ottawa Senators and Tampa Bay Lightning begin to play. First season with an 84-game schedule. Bettman becomes Commissioner of the NHL. 1993-94: Adams, Patrick, Norris and Smythe divisions are no more; divisions are changed to Northeast, Atlantic, Central and Pacific, with playoff seeds awarded by conference and not division. Minnesota North Stars relocate to Dallas to become the Dallas Stars. San Jose Sharks begin to play in the San Jose Arena (now known as the SAP Centre). Mighty Ducks of Anaheim and Florida Panthers begin to play. 1994-95: Season shortened due to Lockout, with teams playing 48 games instead of 84. Chicago Blackhawks begin to play in the United Center, replacing the Chicago Stadium. St. Louis Blues begin to play in the Kiel Center (now the Scottrade Center), replacing the St. Louis Arena. 1995-96: Quebec Nordiques relocate to Colorado to become the Colorado Avalanche. The Boston Bruins move from the Boston Garden into the FleetCenter (now the TD Garden). The Vancouver Canucks move from the Pacific Coliseum to the General Motors Place (now the Rogers Arena). Schedule reduced to 82 games. 1996-97: Original Winnipeg Jets relocate to Phoenix, becoming the Phoenix Coyotes. Craig McTavish and Brad McCrimmon retire, becoming the last NHL players to play without a helmet. The Buffalo Sabres move from the Buffalo Memorial Auditorium to the Marine Midland Arena (now the First Niagara Centre). The Philadelphia Flyers move from the CoreStates Spectrum to the CoreStates Center (now the Wells Fargo Center). The Ottawa Senators move from the Ottawa Civic Centre to the Corel Centre (now the Canadian Tire Centre). 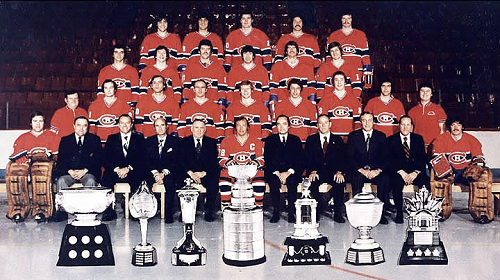 The Montreal Canadiens move from the Montreal Forum to the Molson Centre (now the Bell Centre). 1997-98: Hartford Whalers relocate to North Carolina to become the Carolina Hurricanes. Last season in which the FoxTrax system was used. 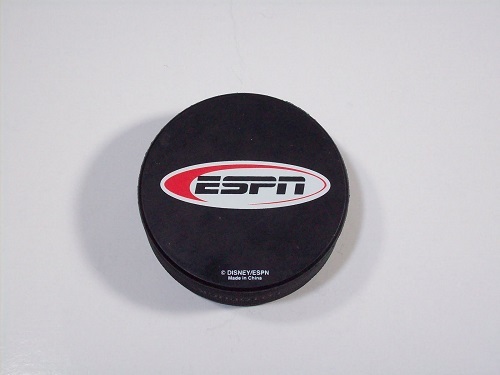 NHL signs five-year, $600 million rights agreement with ESPN. 1998-99: Nashville Predators begin play. Four-division system ditched in favour of six-division system. First year of the Maurice “Rocket” Richard Trophy. 1999-2000: Atlanta Thrashers begin play. Overtime losses now award one point instead of zero, starting the demise of ties. Los Angeles Kings move from the Great Western Forum to the Staples Center. Colorado Avalanche move from the McNichols Sports Arena to the Pepsi Centre. 2000-01: Minnesota Wild and Columbus Blue Jackets begin play, bringing the NHL to the current 30 teams. 2001-02: Dallas Stars move from Reunion Arena to the American Airlines Centre. 2002-03: Pittsburgh Penguins start to show signs of financial struggles; Ottawa Senators file for bankruptcy protection, and are eventually purchased by Eugene Melnyk. Buffalo Sabres enter bankruptcy protection, and are eventually bought by Tom Golisano. 2003-04: The Phoenix Coyotes move from the America West Arena to the jobing.com arena (now Gila River Arena). The NHL begins its venture into outdoor games by holding the Heritage Classic at the Commonwealth Stadium between the Edmonton Oilers and Montreal Canadiens. 2004-05: The season is not played due to a lockout, becoming the first North American sports league to lose an entire season. It would be the first time the Stanley Cup is not awarded since the Spanish Flu pandemic in 1919. 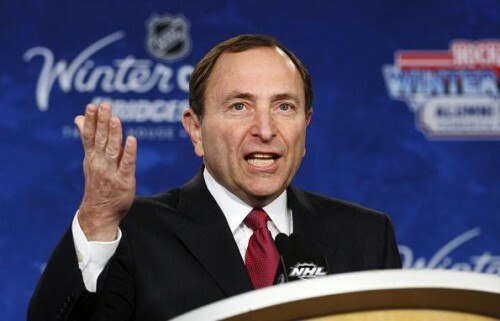 Bettman officially cancelled the season on February 13, 2005 as the NHL and NHLPA failed to reach an agreement. The deadlock was broken on July 13, 2005; saving the possibility of the lockout extending, and officially beginning the salary cap era. 2005-06: The NHL resumes play, unveiling a new logo for the league, and the Eastern and Western conferences. ESPN decides to not renew their broadcasting rights, and Comcast, through NBCSN takes over. The shootout is introduced, as well as other sweeping rule changes. For the first time ever, all 30 NHL teams open their season on the same night. 2006-07: The Mighty Ducks of Anaheim officially change their name to the Anaheim Ducks. The salary cap sees its first increase, this time by $5,000,000 (USD). 2007-08: Reebok assumes exclusive rights for uniforms in the league, debuting the Rbk Edge jerseys, with new or slightly modified logos coming from Boston, Tampa, Vancouver, Washington, Ottawa, San Jose and Columbus. NHL opens at the O2 arena in London. The very first Winter Classic is held at Ralph Wilson Stadium between the Buffalo Sabres and the Pittsburgh Penguins. First talk of expansion begins, with Las Vegas, Kansas City, Houston, Milwaukee, Quebec City, Seattle and Winnipeg being tentatively discussed as potential sites for new teams. Potential sale of the Tampa Bay Lightning falls through, as well as the Jim Balsillie affair involving the Nashville Predators. New Jersey Devils move from the Continental Airlines Arena to the Prudential Centre. 2008-09: The NHL continues to increase exposure in Europe, with four games taking place outside of North America to kick off the season – two in Stockholm, Sweden, and two in Prague, Czech Republic. The schedule is changed so that every team plays each other at least once. Rule changes regarding safety and hits to the head are first discussed, but no action is taken; the instigator rule is implemented. The Winter Classic takes place successfully at Wrigley Field. The Buffalo Sabres are approached for purchase, and the Phoenix Coyotes report a loss of up to $35 million, prompting Bettman to state that “They’re going to get through the season just fine.” Despite Bettman’s comments, the hunt for prospective buyers for the Coyotes gets underway to no avail. The NHL takes control of the Coyotes in November 2008, after a sale to Jim Balsillie falls through due to his wishes to relocate to Hamilton, Ontario. 2009-10: The Phoenix Coyotes file for Chapter 11 bankruptcy, kick-starting a long string of legal battles surrounding the team, ownership of the team rests with Jerry Reinsdorf by the end of the season. NHL Premiere Series continues in Europe, with two games played in Stockholm, and two games played in Helsinki, Finland; though they’re not inaugural games. Columbus Blue Jackets are revealed to be struggling financially by the Columbus Dispatch. The Tampa Bay Lightning are sold to Jeff Vinik. The Winter Classic takes place at Fenway Park. 2010-11: The league comes to a broadcasting agreement with NBC and Versus for ten years worth US$2 billion. Pittsburgh Penguins move from Mellon Arena to the Consol Energy Center. The Buffalo Sabres are sold to Terry Pegula. A new penalty for illegal hits to the head is unanimously implemented by the Board of Governors as a result of a lengthy injury to Sidney Crosby during the 2011 Winter Classic. The NHL has seven games in Europe as part of their pre-season, with NHL teams taking on local teams in Germany, Ireland, Russia, Finland, Czech Republic, Sweden and Latvia, before kicking off their season in Helsinki, Stockholm and Prague. The NHL holds two outdoor games; the aforementioned Winter Classic at Heinz Field, and the Heritage Classic at McMahon Stadium in Calgary. 2011-12: The Atlanta Thrashers relocate to Winnipeg to become the Winnipeg Jets, and the NHL begins talk of realignment. The NHL has several memorial patches, to commemorate the deaths of Rick Rypien, Derek Boogard, Wade Belak; sparking a conversation regarding the effect of fighting on mental health, and the Lokomotiv Yaroslavl air disaster, which claimed the lives of the entire team. The Premiere Series continues in Europe. The Winter Classic is held at the Citizens Bank Park. Rule 41 (boarding) is re-worded to ensure players minimize or avoid contact with defenseless players, as well as cracking down on illegal hits to the head with further changes to rule 48. 2013-14: Realignment takes place, with the format in use today being first implemented. The NHL comes to a broadcasting agreement in Canada with Rogers, with a deal worth $5.2 billion (CAD). The Winter Classic is held at Michigan Stadium, as originally planned for 2012-13, but postponed due to the lockout. The League also holds the Heritage Classic at BC Place, as well as holding the Stadium Series with four other outdoor games. 2014-15: League comes to an agreement with GoPro to record content for broadcasts, though a monetary value is not disclosed. The Winter Classic was held at Nationals Park. The Stadium Series continued, though scaled back to just one other outdoor game. Expansion talks begin to heat up with Las Vegas, Quebec, and Seattle seen as front-runners. 2015-16: 3-on-3 overtime is implemented as an effort to curb shootouts. Coach’s Challenges are implemented. The Winter Classic took place at Gillette Stadium, with two further outdoor games planned later this year at TCF Bank Stadium and Coors Field. Official bids for expansion are submitted by Las Vegas and Quebec; Bettman announces that no application will be accepted from Seattle at this time. Gary Bettman has negotiated Olympic agreements for five Winter Olympics (Nagano ’98, Salt Lake City ’02, Turin ’06, Vancouver ’10, Sochi ’14) to allow for NHL pros to compete; by the end of his contract, he would see two more Olympics (Pyeongchang ’18, Beijing ’22). When Gary Bettman took the reins of the NHL, Loaded Weapon 1 had just dethroned Aladdin for top of the box office in North America, four months before the release of Jurassic Park. The top Billboard song when Gary Bettman took over: “I Will Always Love You” by Whitney Houston. The nations known as Czech Republic and Slovakia were just one month old after having dissolved from Czechoslovakia. In Canada, Nunavut was still 6 years from being created when Gary Bettman took on the role of Commissioner. Bettman also briefly pre-dates the short rule of Kim Campbell, the only female Prime Minister in Canadian history. Bill Clinton had 11 days in office when Gary Bettman started as Commissioner of the NHL. NHL Births in 1993: Shayne Gostisbehere, Markus Granlund, Tomas Hertl, Nikita Kucherov, Ryan Nugent-Hopkins, Nail Yakupov, Ryan Strome, Boone Jenner. Other notable births in 1993: Zayn Malik, Victoria Justice, Bobbi Kristina Brown, Miranda Cosgrove, Ariana Grande, Taylor Momsen, Cher Lloyd, Alex Oxlade-Chamberlain, Angus T. Jones, Meghan Trainor. Notable deaths in 1993: Audrey Hepburn, Andre the Giant, Ferruccio Lamborghini, Brandon Lee, Vincent Price, River Phoenix, Pablo Escobar, Frank Zappa. 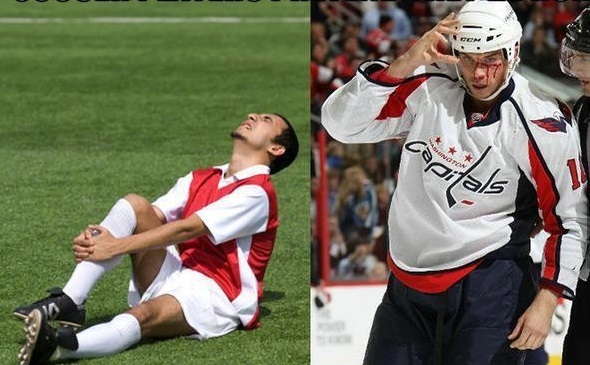 The last year of Gary Bettman’s contract will be the fourth year in which players born after 2000 would be eligible. Gary Bettman will be commissioner longer than the last currently-announced Marvel Cinematic Universe film (Inhumans (2019)), and longer than the last currently-announced DC Cinematic Universe Film (Green Lantern Corps (2020)). By 2022, Bettman would be Commissioner for 29 years: long enough for an average passenger plane to travel to, from, and back to Mars again with a few days to spare.